It’ll stick with us, that’s for sure. The clash of two sides, neither guaranteed victory. The heat and chill of the elements, flying back and forth. The need for precise timing, and the constant tension. Not in The Witcher 3’s real-time combat, accomplished as it is, but in Gwent – the card game CD Projekt RED invented for the Northern Realms. A new mod pulls the CCG out of the pubs, onto the streets of Novigrad and into the swamps of Velen. How many of the best PC RPGs have you fought or talked through to the end? It’s all very simple: once you swing your sword at an enemy and do damage, the game initiates a Gwent match. And once the encounter’s resolved in your favour, you’re back in the world, and your opponents fall down dead. Enemy decks are randomised, and scale slightly depending on your selected difficulty. Modder DickDangerJustice reckons the entire campaign should be playable this way. My only concern is, since Geralt also drops dead at the shock of a loss, you’re going to wind up killed a lot more often than in vanilla Wild Hunt. 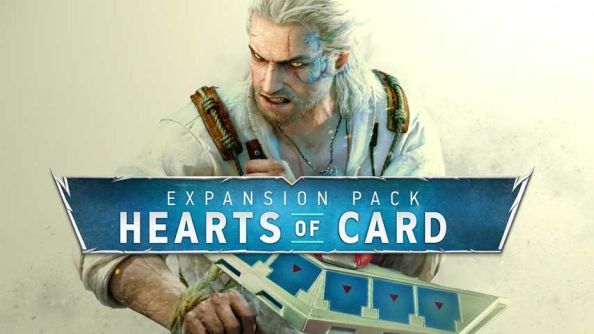 But maybe that’s just better incentive to up your Gwent game. Do you have sufficient faith in your cards? Here’s a Gwent review, written by some freelancer from Rivia.